I grew up in Roswell, New Mexico. 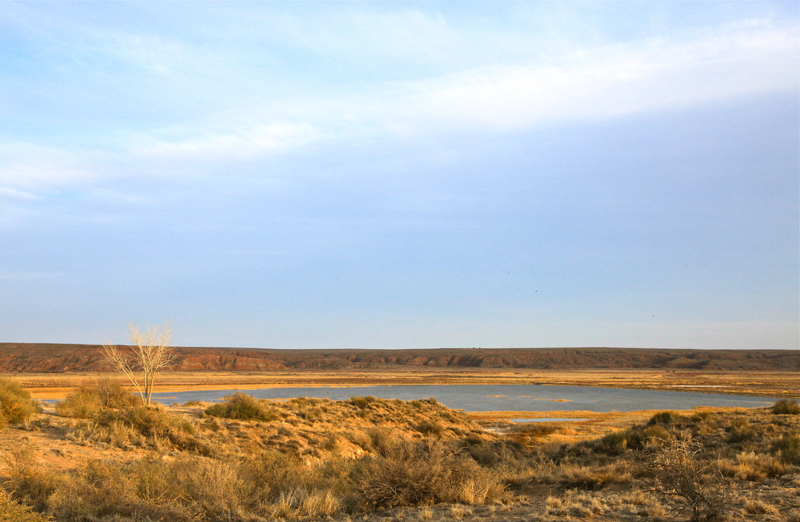 One of the places where we often went for family activities and school functions was Bitter Lake National Wildlife Refuge, located along the Pecos River just outside of Roswell. 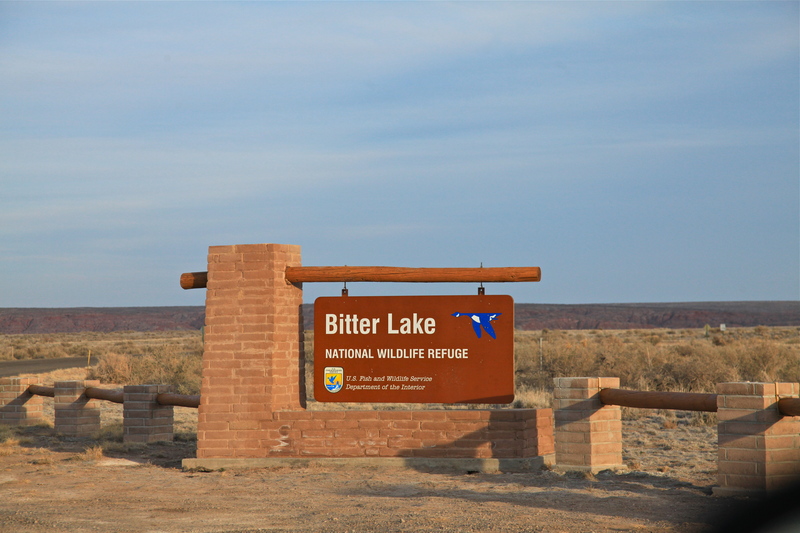 I had not visited the refuge since the 1970’s, and so I recently decided to take a trip to Roswell to visit friends and take some photos at Bitter Lake. 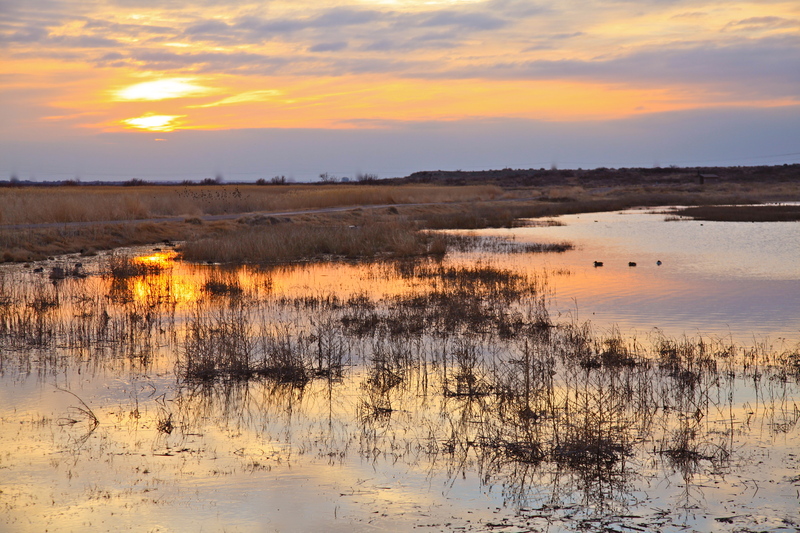 I arrived at the refuge on Friday afternoon in time to take advantage of the beautiful late afternoon light. 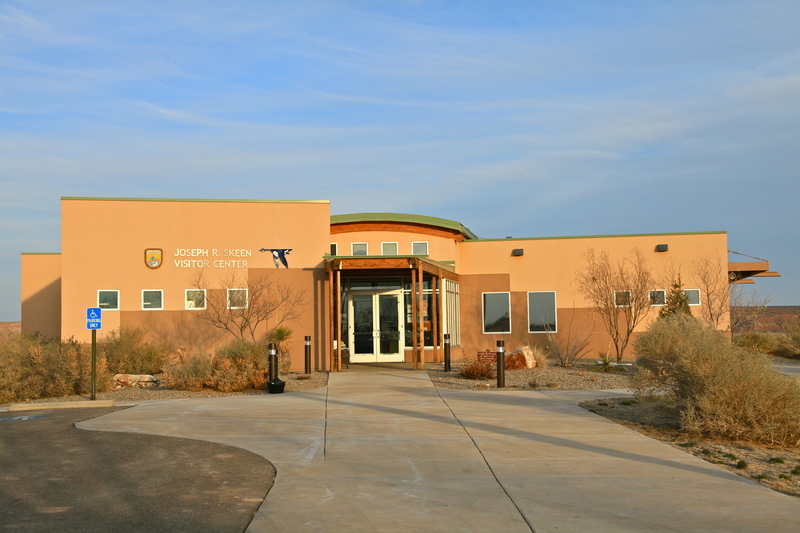 The first thing that I noticed was the new (to me) Joseph R. Skeen Visitor’s Center, which was completed in August 2006. 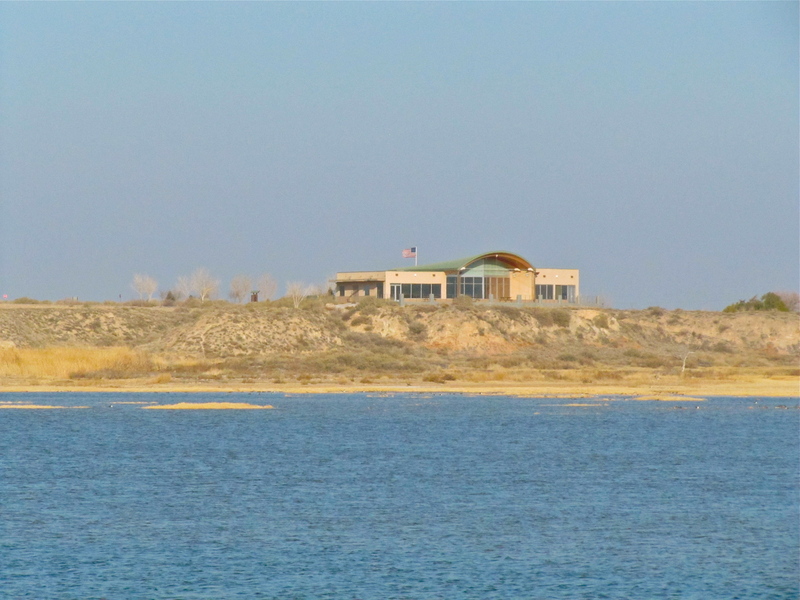 The visitor’s center is located on a bluff that overlooks the refuge, and it has large windows and a deck that are designed to take advantage of the views. The view from the deck is lovely! View from the Visitor's Center deck. I drove around to familiarize myself with the surroundings. The red bluffs to the west of the refuge are really beautiful. 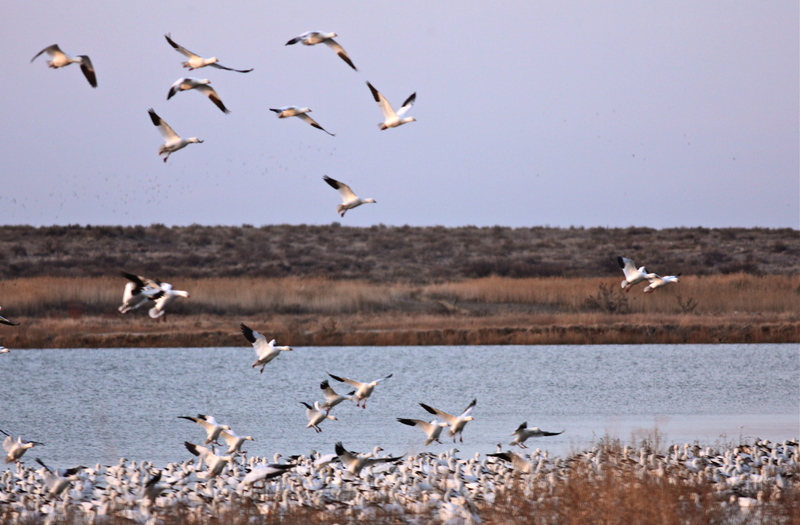 Snow Geese and a Northern Harrier fly over Bitter Lake. 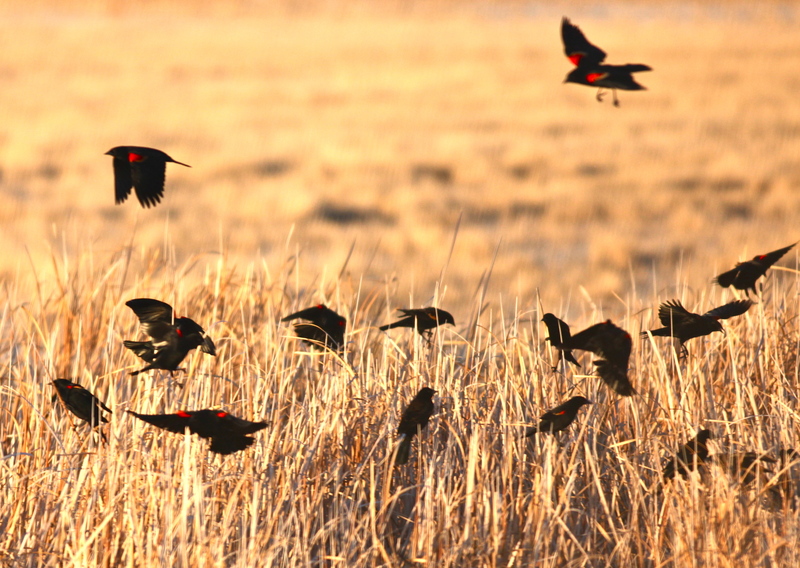 There were hundred of Red-winged Blackbirds singing in the reeds and cattails at the edge of the lake. As I listened to the Red-winged Blackbirds, I watched the sun setting over the lake. 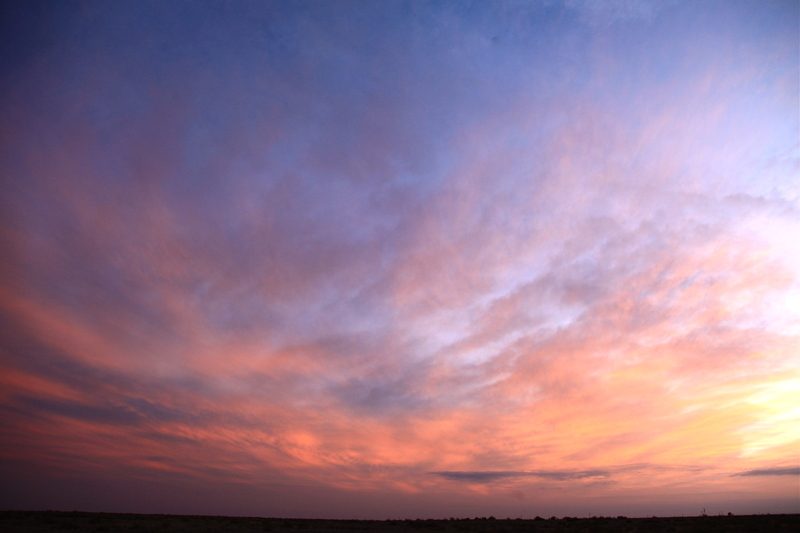 The next morning I arrived at the refuge before sunrise to watch the fly-out. 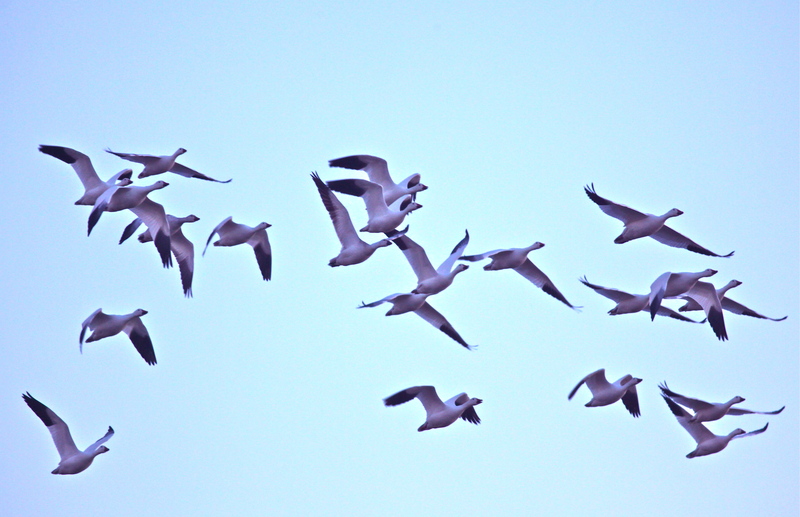 When I arrived, Snow Geese were flying over the visitor’s center. 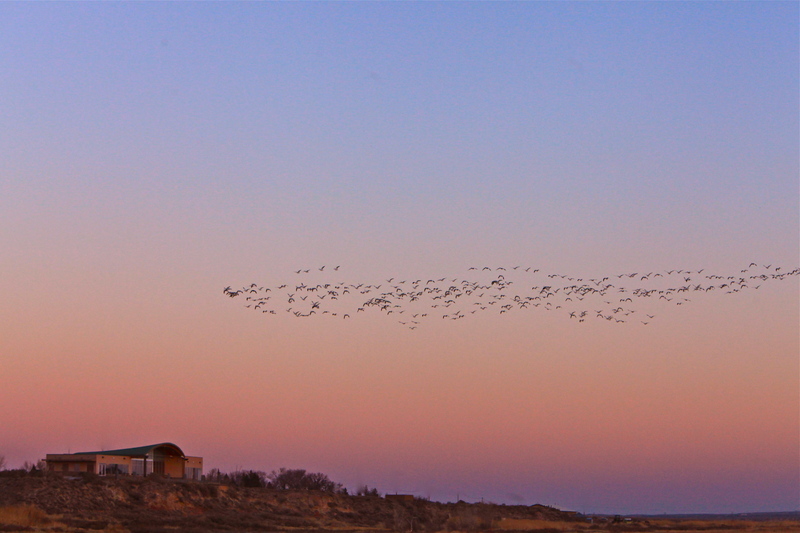 Snow Geese fly over the visitor's center. I watched as waves of Snow Geese flew out to graze in the surrounding fields. 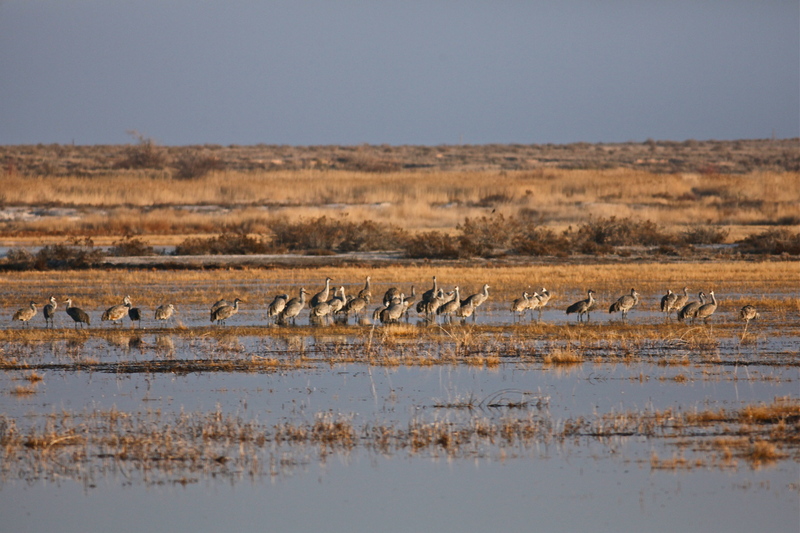 The Sandhill Cranes waited until a bit later to fly out. I was able to get a few photos as they flew overhead. 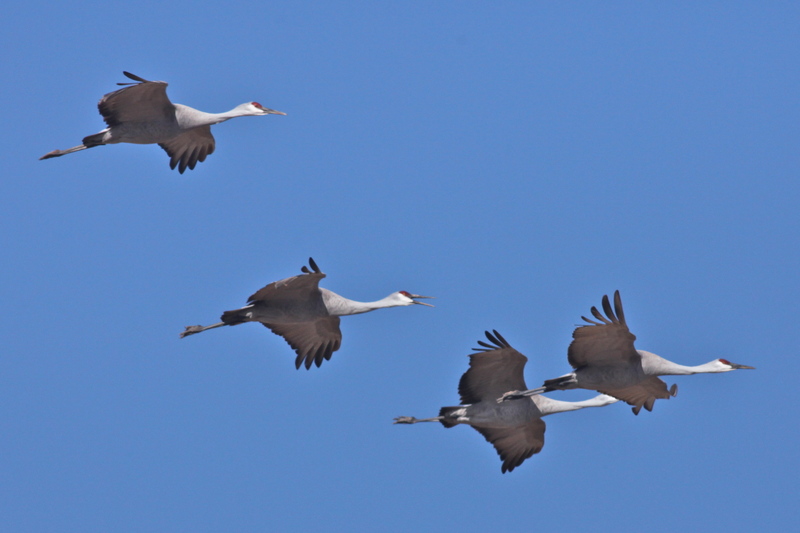 Sandhill Crane fly-out, a closer view. I looked across the lake at the visitor’s center. From this angle you can really appreciate the lovely view from the large windows out over the lake. View across the lake toward the Joseph R. Skeen Visitor's Center. There were many Buffleheads on the lake. 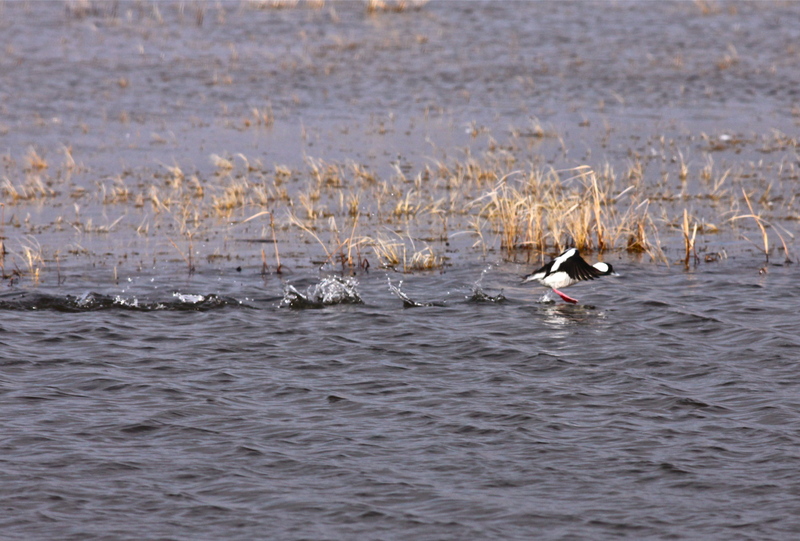 I enjoyed watching them “run” along the lake surface as they took to the air. 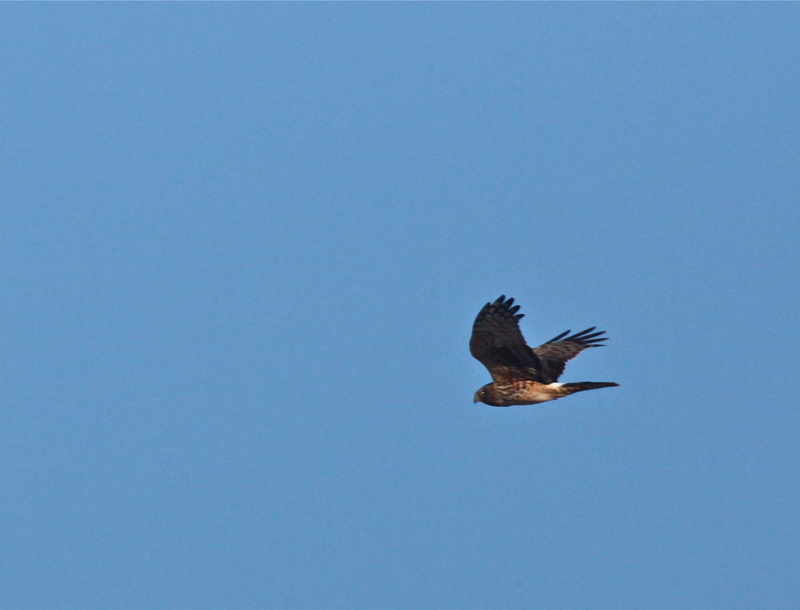 A Northern Harrier hunted over a marshy area. The weather, which had been lovely, began to get chilly, and I went into Roswell to meet friends for lunch. The weather improved later in the afternoon, and I returned to watch the evening fly-in. 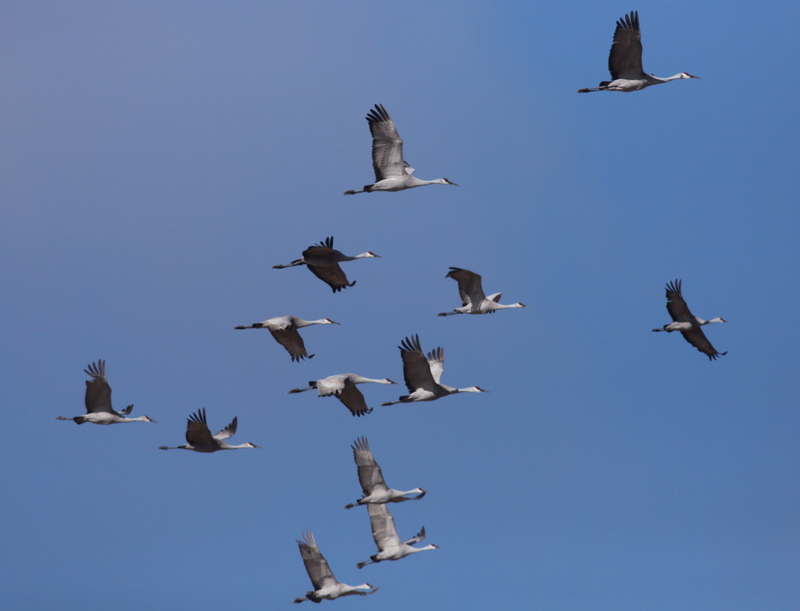 I was too early for the Sandhill Cranes, but large numbers of Snow Geese began to fly in. 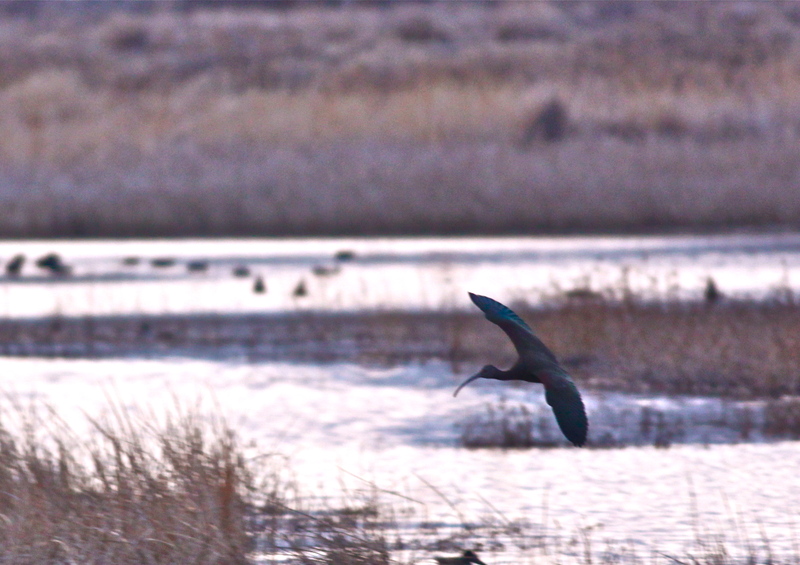 As it grew darker, White-faced Ibis flew in as well. As I left Bitter Lake to have dinner with friends I stopped to watch the beautiful sunset. I have always thought that the sunsets in Roswell are extraordinary. 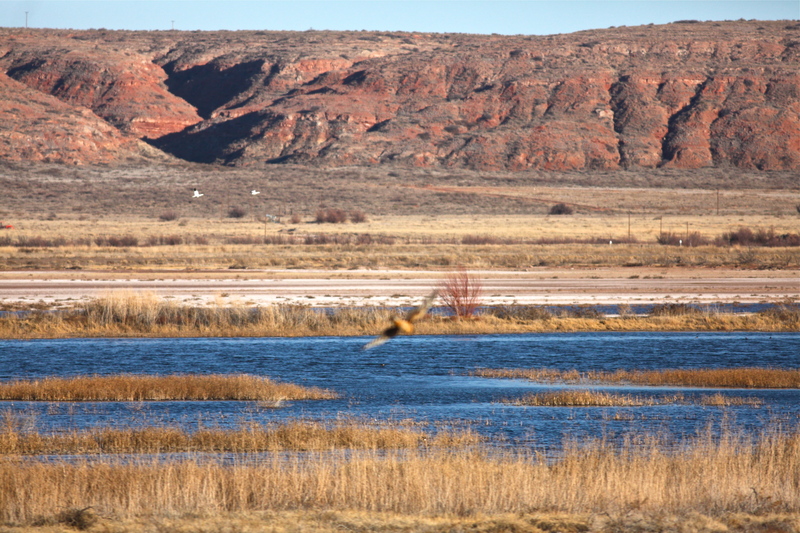 Although Bitter Lake National Wildlife Refuge is not nearly as well known as Bosque del Apache National Wildlife Refuge near Socorro, New Mexico, it is a lovely area, and well worth visiting.